Another Indirank refresh and again some milestones thanks indiblogger.in for this. 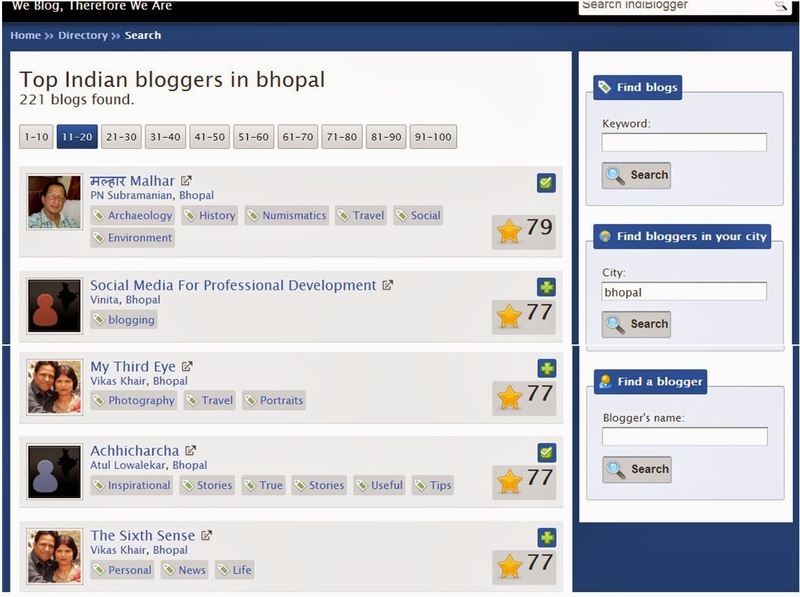 Quite few of my blogs are ranked in top 20 blogs in Bhopal now. Actually its 4 of my blogs in Top-20 blogs in Bhopal across all genres. Not only this but I also had happiness on national level too to as Genre specifically my blog is ranked wonderfully too. 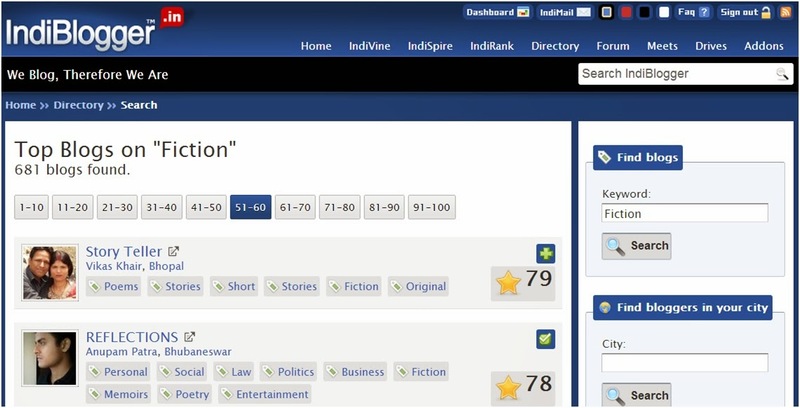 If we search indiblogger for blogs under 'Fiction' genre then my blog Story Teller is ranked 51 in 681 blogs all across India. Now if we search for 'Stories' genre then my blog Story Teller is ranked 50 in 1129 blogs all across India. 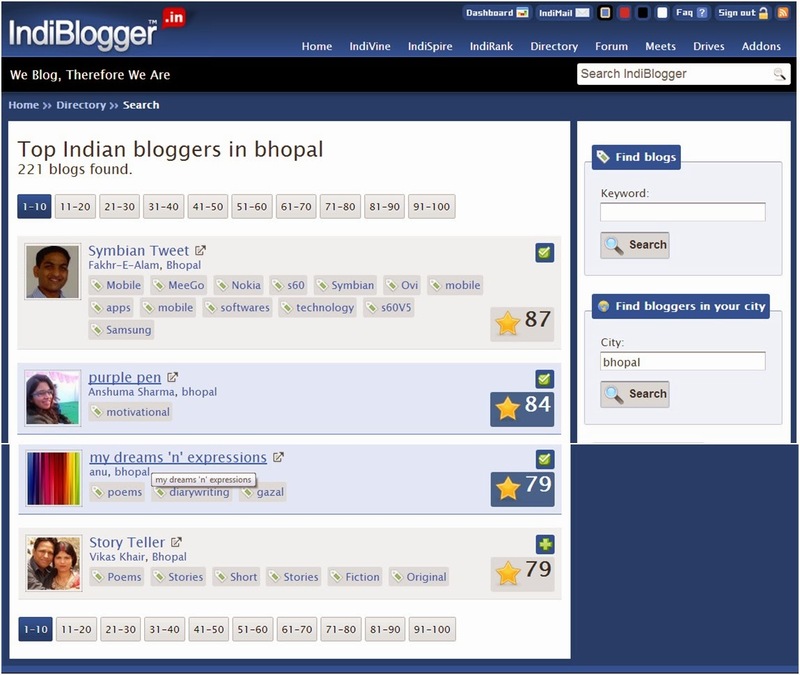 Now the interesting and wonderful things of all the blogs in Bhopal my blog 'Story Teller' is ranked no. 10. And last but not the least I have my photography blog on wordpress on No. 19. I am making a conscious effort to be more regular with my blogging and IndiRank results show that. When you see the results of your work so quickly then it encourages you to go further and do much more. I Congrat all the top rankers in Bhopal and everywhere in India and hope that everyone would keep on blogging and keep the scene alive.